We invite you to rediscover the story of the world’s most famous shipwreck in history, on an expedition where few have gone before. Venture to the bottom of the North Atlantic Ocean on a manned submersible operation to survey the Titanic wreck. It is 106 years since the ship began to sink below the icy water. Due to the huge scale of the wreck and debris field, multiple missions are being planned over several years to fully document and model the wreck via longitudinal survey. Actively assist a team of scientific and imaging experts with sonar operation, laser scanning, navigation, communication, camera operation and data logging, in an 11 day mission 4,000 meters below the ocean’s surface. You will join at least one submersible dive down to the Titanic, using the most advanced and mobile deep-sea manned submersible in the world. Explore the wreck, gliding over the famous grand staircase and the remains of the iconic bridge where the order, “Hard to starboard” was given. The bow and stern of the ship lie almost 2,000 feet apart, with numerous artefacts strewn across the ocean floor for you to uncover, relatively undisturbed for over a century. 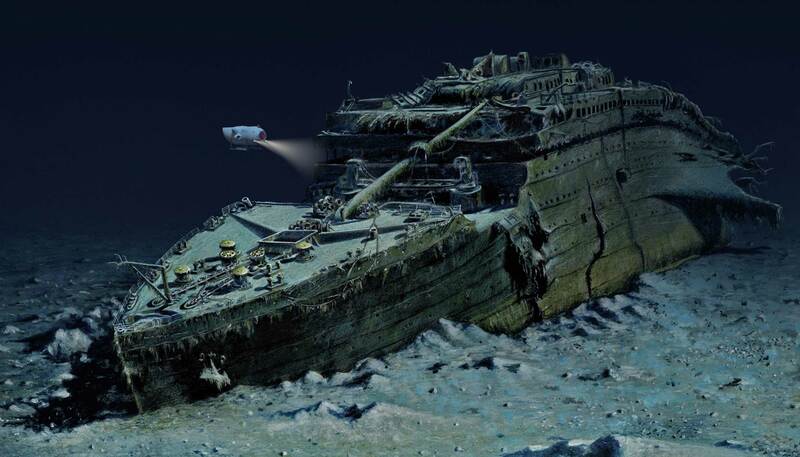 As part of your mission, you will assist historians, biologists, wreck experts and technical specialists to create a detailed 3D model of the shipwreck, capture data and images, document the condition of the wreck and assess changes to marine life habitats in and around the maritime heritage site. You will be assigned a role as a Mission Specialist and given all the necessary training in submersible and surface support. In preparation for departure, you will attend Helicopter Underwater Egress Training (HUET). This one-day course is designed to provide you with the knowledge of personal and helicopter safety needed for your high-speed helicopter or seaplane flight to the Dive Support Ship (DSS). If you would like to be one of the few active members of an expedition team that will explore the remains of one of history’s greatest tragedies, please contact us now to begin your application.